Ned Hancock knows he’s biased, but he has the utmost confidence that he and his compatriots in the Florida Citrus industry grow a product that’s far juicer and tastier than those grown anywhere else. And as a 5th generation Florida Citrus Grower, it’s hard to argue that Ned doesn’t know what he’s talking about. 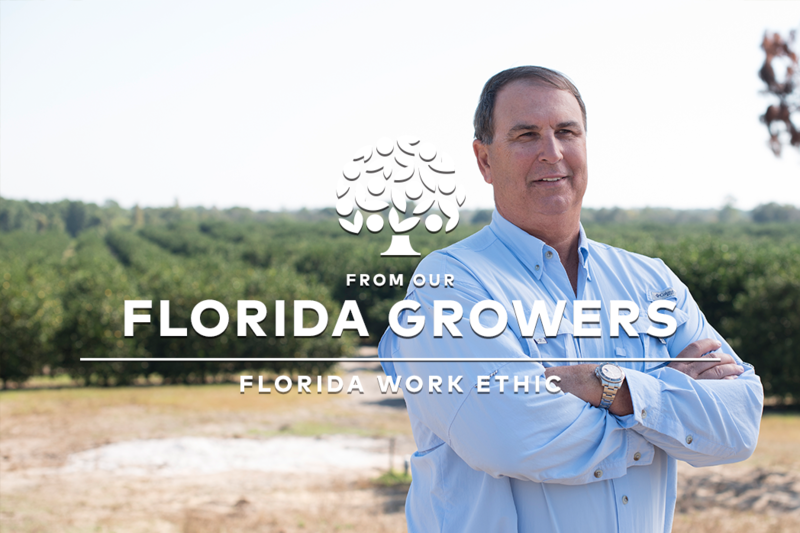 Ned credits much of his success to the team of great people that help him not only grow citrus, but also to ensure that the highest quality product reaches consumers. There’s a long journey and a lot of hard work to get citrus from tree to table, but Ned takes special pride in the love that consumers have for his product. As he notes, everyone in agriculture is always looking toward the future. So as the industry remains forward-thinking about the challenges of tomorrow, you can count on Ned to continue upholding his family’s legacy with a commitment to hard work and a love for the fruit he produces.